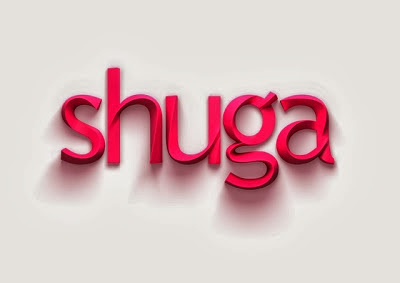 As the weeks go by, Shuga gets more and more interesting. This week focused on each character in the ds how and even has a cameo appearance from Nigerian rapper - Ice Prince. This week my attention drew more to Malaika and her brutal marriage with her husband Nii — very upsetting to see a very intelligent woman of her kind go through such heartache, I hope she leaves him and soon. Oh yeah and Shuga fans - an original member is back — Leo! He flew in from Nairobi to hook up a few business deals and meetings and visit his boy Femi. Weki does a runner from his mother Sade, who has absolutely no whereabouts of where his disappeared to. Amist it all Princess and Tobi getting really close in this episode! Juicyyyy!!!! With only 3 more episodes until series 3 finishes. We can only imagine of what's left to come in ‘Shuga Naija’. Tobi (Timini Egbuson) and Princess (Sharon Ezeamaka) are joyful in their new-found love, while Malaika (Leonora Okine) and Nii’s (Chris Attoh) marriage lurches deeper into crisis, Weki (Olumide Oworu) and Sade’s (Tiwa Savage) relationship deteriorates, and Femi (Ikubese Emmanuel Ifeanyi) and Foye (Maria Okanrende) try to sort through their difficulties. Nigerian musician Ice Prince makes a cameo appearance as himself. We wonder who'll be free in their imprisonment - watch episode 5 ‘Jailer’ below!